This entry was posted in Substance Abuse on July 18, 2014 by Platinum. The practice of numbing pain has become all too commonplace in our country, as more individuals are seeking out painkillers than ever before. In fact, the number of deaths resulting from commonly prescribed painkillers is now higher than the number of deaths by overdose from heroin and cocaine combined . These findings are based on new research from McGill University, which has highlighted the public health crisis that is unfolding from prescription painkiller abuse. The Center for Disease Control and Prevention (CDC) has reported that fatal overdoses from prescription painkillers has reached epidemic levels in the United States, with the number of deaths nearly tripling in the past two decades . Among the more popular painkillers sought include Vicodin and OxyContin, which have resulted in the most drug overdoses and fatalities, compared with illicit drugs such as cocaine and marijuana. He noted that the only way this could happen would be when the FDA changes labeling requirements for painkillers, which would essentially make it easier for the medical community to prescribe painkillers with greater caution. 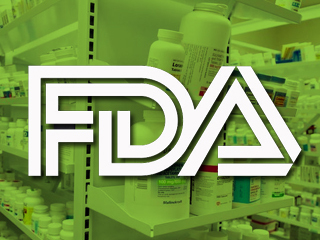 Current FDA labeling guidelines allow doctors to prescribe painkillers to patients who are dealing with “moderate to severe” pain, though it is thought that more rigid guidelines could help minimize unnecessary scripts for painkillers. With human lives at stake with this public health crisis, the need for addressing these concerns has never been greater. Advocating for reforms and solutions at the state and federal levels can help draw awareness to this significant issue, which is impacting countless individuals across our nation.